The death of Julian left the Roman army in a tight situation. They were still 200 miles deep in Persian territory and were running low on provisions. Julian’s eccentric decision not to name a successor left them with an immediate practical problem. Who was to lead them? And needless to say the decision had to be made quickly – a crisis like this required decisions to be made without delay. Julian has continued to fascinate people down the ages. He tends to be viewed favourably. In life he must have had a lot of charisma to do many of the things he did. He has left enough of his own writing and there are enough eye witness accounts that you can feel that you have got to know him. He is talented, engaged, idealistic and with a great sense of humour. He is very likeable. Add to that a hero’s death and an against the odds struggle against history he becomes irresistible. Continue reading Could Julian the Apostate have defeated Christianity? Julian was a scholar who had read widely and could write well. His tastes were philosophical but the skills he had acquired in the pursuit of truth could be used for more worldly objectives. So when he invaded Persia he studied the records of Trajan who had fought across the same territory years before. Laying siege to Ctesiphon he was able to locate and reopen a canal built exactly 250 years before, enabling the city to be surrounded. But although sieges were pretty much a Roman speciality for reasons that remain obscure, this one did not go well. And as time went on Julian’s position became steadily less secure. The other columns failed to arrive to join the siege, and the Persian king was still at large with his army. Without reinforcements and in the absence of a quick and decisive battle, the Romans were very vulnerable to a counter-attack by Shapur. In the end, Julian was forced to retreat. Retreating through enemy territory is always a risky business. Rather than go back the way he had come, he chose to destroy the fleet on the river with his supplies and fall back along a more northerly route. The Persians still didn’t dare attack in force but did start harrying the Romans. During one such attack Julian himself, sharing his troops privations and dangers, fought off some attackers personally. Unfortunately in his haste to join the fray he had not put on his breast plate. He sustained a wound from a spear. The wound did not prove fatal straight away, but despite the best efforts of his doctor Julian became steadily more ill until it became clear he was going to die. We have a good eye witness account of the events and it makes tragic reading. Julian, still a young man not long into thirties faced death with courage and good humour. His religious principles had been dear to him throughout his life and in this crisis must have helped him. He no doubt sincerely believed that he was due to go to meet the dieties who had helped and counselled him. And he was dying a warrior’s death. The thing he didn’t do was to name a successor. This was no oversight, he consciously and expressly left the choice to the army. They were to chose the man they felt best suited to lead the empire. Again we see here his religious faith coming to the fore. He had been chosen by the gods to save the republic. The gods would no doubt find a new hero to take over his role. There is no doubt that Julian’s death was greeted with dismay by the troops. He had not led them for long but his charisma was already working the magic that it had done before in Gaul and which even won him friends in worldly wise and cynical Constantinople. His request was to be buried in Tarsus, and this wish was respected. 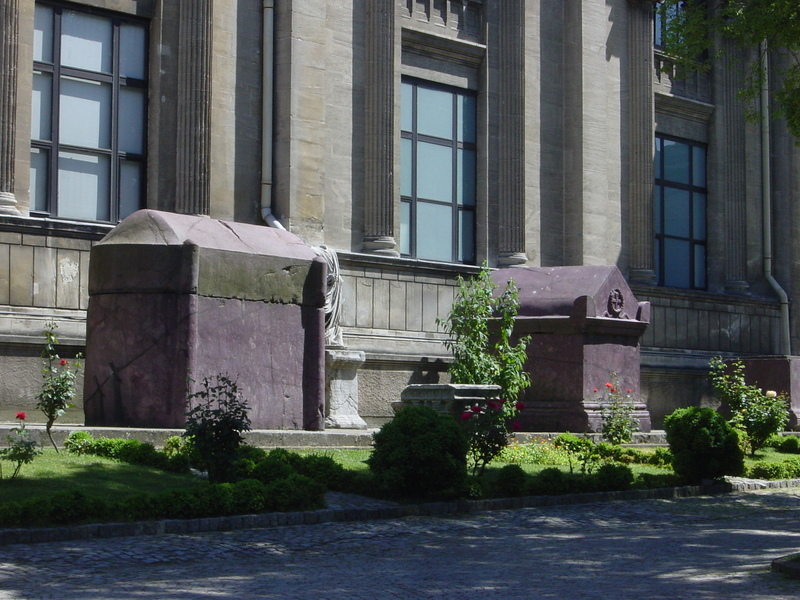 His body was later moved to Constantinople to the church that housed the remains of the rest of his family. I doubt that he would have been pleased by this, but it is fitting. He was the most remarkable member of that remarkable family. Their stories are all bound together and it seems right that they have all ended up in the same place in this world even though they had very different destinations in mind for the next one. Julian died a hero’s death and had lived a hero’s life. By dying so young he never had a chance to make any huge mistakes that might have tarnished his reputation. Would he have returned victorious from Persia to massacre the Christians? It seems very unlikely but he would have been remembered very differently if he had. Would his reforms have led to a bloody civil war? More likely, but he seems to have been worldly wise enough that he would probably have avoided it. Would his changes to paganism have turned it into a monolithic force as repressive as the Church was soon to become? That was possible, but we rarely blame people for what they might have done. So Julian remains an heroic figure. But a hero to who? Obviously not to the Christians. He described them as ‘a sect of fanatics despicable to mankind and odious to the gods’. They were even ruder about him. Despite having not martyred a single Christian it is Julian who has been singled out as the emperor who has been personally maligned. A string of totally fictitious stories are told of imaginary saints who are supposed to have suffered at his hands. And if that weren’t enough Julian’s own death is credited to St Mercurius who was keen enough to kill him that he came down from Heaven specifically for that purpose. And the character of Julian was traduced. The story arose that his last words were to acknowledge the final victory of the Gallilean. Even now half-wits regularly put that quote on Twitter even though it is manifestly and easily provable nonsense. He obviously could be a hero to the Pagans, but Paganism was not to last much longer. There are some people around today who are trying to revive pagan beliefs, but the most popular form is Wicca. This is a folksy grass roots paganism which doesn’t really sit very comfortably with Julian’s rather grander neoplatonic conception. I don’t think there is any particular incompatibility between what the modern Wiccans believe and what Julian would have recognised. But their styles are miles apart. 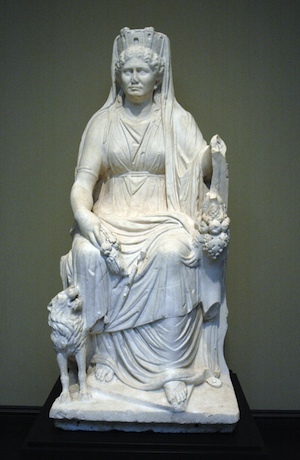 Wiccans don’t seem to be the kinds of people who would be impressed by an emperor, and certainly not a warlike one. Wiccans are in any case a tiny group, even though they do manage to get a good crowd out for the Solstice at Stonehenge every year. 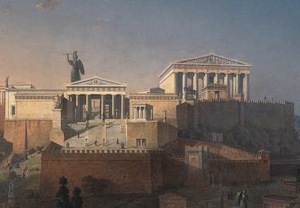 There are people who profess to follow the Hellenic gods, but they are an even tinier minority. Julian has attracted admirers over the centuries, but none of them are really a good fit to the man himself. Free thinkers in the Renaissance liked the fact that he was opposed to the Church. But he was a conservative by temperament so he never really made it as an icon of modernity or progress. Atheists might find his opposition to Christianity appealling, but his deep religious convictions are at odds with the principles of the Enlightenment. Gibbon carefully avoids hero worship of Julian. He saw him as a hero, but also realised that he was a fanatic as well albeit an attractive one. In fact, what he does is extremely clever. He criticizes Julian’s fanaticism and praises his piety using exactly the language that in his own time would be applied to the Church. Without ever saying so directly, he leaves you with the impression that at the end of the day Julian was not really the mortal enemy and antitheis of the Christians. In the end, this was a battle between two different forms of the same delusion. In many ways the real tragedy was that such a brilliant and talented man’s life was devoted to a cause that was not really worthy of him. Rome grew to dominate the world under the republic. After the republic fell, the emperors for the most part were content to simply defend what they had. But the tradition of conquest continued. Claudius added Britain and Dacia and Mesopotamia were conquered by Trajan. Several smaller scale campaigns outside the empire were undertaken too. 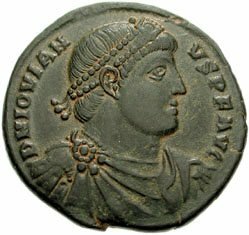 So in 363 when Julian, the last pagan emperor led a Roman army drawn from all parts of the empire out across the border to conquer a foreign enemy he was doing something that was rare but which was not unprecedented. It would have broken his young and idealistic heart to know that this would be the last time the empire as he knew it would mount such an attack. 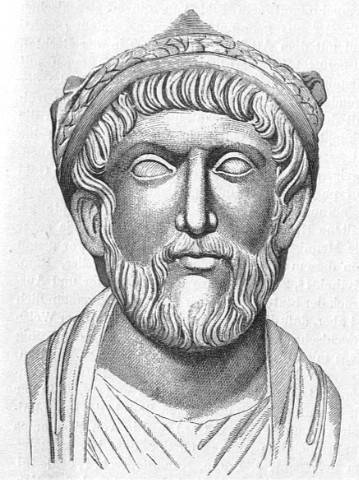 The author of the Hymn to Cybele, Roman emperor Julian the Apostate is a one off in history. He was the nephew of Constantine, the man that introduced Christianity to the empire. But he spent most of his adult life trying to convert it back again. He was born a Christian and died a pagan. He was a philosopher by inclination. He could easily have been remembered as a leading exponent of Neoplatonism, but proved to be a great warrior when forced to become one. Above all, he was full of surprises. Constantine’s adoption of Christianity and the ramifications of it triggered off a full scale religious crisis in the empire that was to last for the whole of the fourth century. As Julian came to the throne Christians were already fighting other Christians and it was only a matter of time before other religions resorted to violence as well. What would Julian do about it? To everyone’s surprise his first edict was one of tolerance. His approach looked good on paper. Everyone was free to follow whatever spiritual path that suited them. Full religious freedom was good news for most people on a personal level. Jews and pagans had a whole series of irksome restrictions lifted. The previously non-favoured brands of Christianity also were able to worship in freedom. Not many leaders in history write books. Quite a few don’t read books. Those that do put pen to paper rarely write anything of more than historical interest. But even among the small number of scribblings of the powerful that do stand up to scrutiny, Julian the Apostate’s lengthy polemic ‘Against the Galileans’, his critique of the Christianity of his time, is a completely unique document. There really is nothing to compare it with.